Like this? Tell the world! Saint Francis of Assisi is a spiritual and cultural icon, but he is also a real figure we can call upon to help guide us in our daily lives. Love, kindness, and respect for each other and the natural world — these are the key components of Francis’ message, and at the essence of his character. 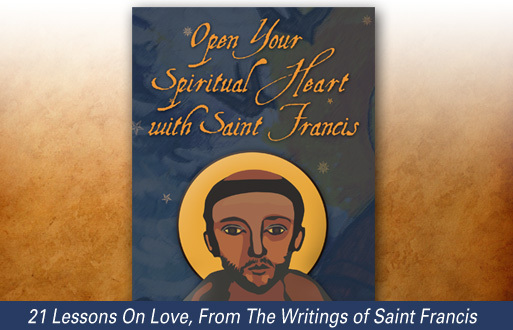 Open Your Spiritual Heart with Saint Francis is a 21 lesson course developed to help us do just that: Open our hearts to receive God’s love, and share it with the world around us. The lessons and guided meditations draw upon Francis’s words, but also upon him directly, and help us to experience his essence, from his heart to our own. To work with this material is to have Francis nearby as a loving brother, teacher, and guide for a time, as we progress along our spiritual path. Walking with such a positive and powerful influence cannot but help to leave a deep and lasting impression. Lessons include written material, instruction, and background on Francis, as well as a series of powerful guided meditations and exercises we can use to make a deeper connection with the Divine, strengthen our devotion, and put our love into practice. So that we can each become a more effective instrument of peace, inner healing is a key focus. Canticle of the Sun, and Instrument of Thy Peace, Francis’ best known works, are the basis for the lessons. In these deeply inspired prayers we’re provided a window through which we can know Francis, and receive his mentorship and support. Experiencing your connection to brother sun, sister moon, and mother earth. Meditation: Placing Another’s Needs Before Your Own. Lesson Twenty-One: Writing Exercise: Francis’ Blessing To You. "Open Your Spiritual Heart with Saint Francis has really helped me become a much more peaceful and forgiving person. I see your meditations as a great gift that not only helped me connect with God but also maintain the deep spiritual connection I need in my daily life." "I am on lesson 10 and my heart is opening more and more each day. Learning more about the inspirational Saint Francis is an incredible experience! These daily lessons are truly life changing for me and Max Highstein's voice is so comforting during the guided meditations! l Love this course, and I am so grateful to have found it." "It has been only 10th meditation form your new course with St.Francis but I am already experiencing miracles in my life! And today another one.. 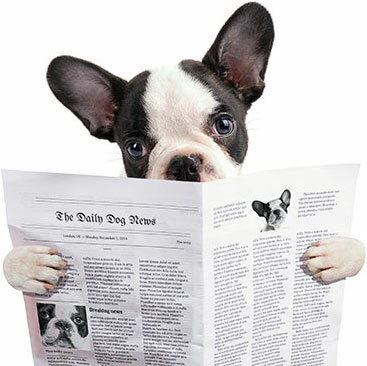 I just want to tell you how grateful I am to you for all your work to help others feeling happy and full of Love. You have really helped me to change my life for better, love people around me and love myself, appreciate every day and night of my life and beautiful world which surrounds me.. I have never been so happy in my life as I am now and my heart is full of faith, hope and Love. I will be always grateful to you, God, St. Francis and.. myself for this wonderful lesson!" "Well its day 8 and all i can say is wow.Every day a deeper appreciation and communion with all of life occurs.Thankyou to everyone involved in this course - I feel such bliss." Love surrounds you. This program helps you open to receive it! They are all around us. Discover for yourself! If you’ve been feeling discouraged, alienated or disillusioned with God, this program can help. Meet with angels, masters, healers and loved ones, waiting to channel God’s love into you. Archangels send healing light and sound to 12 different areas of your body. A daily heart meditation practice with instructions, plus three more. Exquisite! Gentle narration, a magical script, and soothing original music, all gracefully combined. Experience the presence of this great saint in a 5-lesson course. Thank You with much love for helping to heal me with The Healing Waterfall. A dear friend gave me the CD as a gift when I was going through a difficult time. I listened to it nightly for about 5 years. It always helped to get me to sleep. I just downloaded 8 new mp3’s and I am so excited! © 2019 Desert Heart Recordings, Inc. All rights reserved.